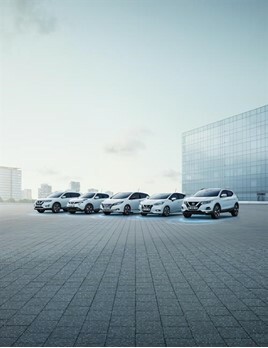 Nissan has launched a variety of new PCP offers including 0% APR representative, deposit contributions and cost-saving service plans. The limited time PCP offers are available across the manufacturer’s range until January 6. Depending on the model, these are available with 0%, 3.99%, 4.99% or 5.99% APR representative. 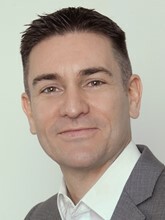 Nissan Motor GB’s marketing director, Nic Verneuil, said: “Nissan’s latest retail offers make the benefits of Nissan Intelligent Mobility highly accessible. £189 per month on a 37-month 0% APR representative deal with a customer deposit of £7,142.89. £360 per month via a 5.99% APR representative, 37-month PCP offer following a customer deposit of £6,289.09. The deal, applicable on the N-Connecta trim, complete with Apple CarPlay and Android Auto, includes a Nissan deposit contribution of £500. £149 per month over 3 years at 0% APR with a customer deposit of £3,015. A two-year servicing plan for £249 adds even more value. Alternatively, customers wishing to use a lower deposit can put down £195 and pay £195 per month over 4 years at 3.99% APR for the same car. £279 per month via a 37-month 0% APR representative deal with a customer deposit of £11,667.46. £699 per month via a 37-month 5.99% APR representative deal with a customer deposit of £17,868.61. Three years’ servicing of the everyday supercar can be added for £899. Through the 37-month 0% APR representative deal its rear-wheel drive, classic coupé style and 3.7-litre V6 engine can be enjoyed from £239 per month, after a customer deposit of £7,649.50.